We spend so much time and energy on work; all of us want that effort to be meaningful. Sometimes we may question whether our work is truly what we are meant to do, and our work may feel separate from our spiritual lives. The more dissatisfying we find work, the more tempting it is to view work as separate from the rest of our lives. While there are benefits to summoning the determination to keep going in our jobs even when it isn’t easy, this constant pushing without evaluating will only drain our energy over the longer-term. We need to find ways to integrate our work lives into our spiritual lives. But, what can we do to make work meaningful? Here are five ideas that could help. It makes sense to think about changing parts of our lives that pull us away from our path. With work, this may mean looking for a completely different direction. While a big career shift could make sense, it helps to remember that how we approach our day-to-day lives is often more important than what we do. The grind of the workday can cause us to lose our spiritual connection. This is true even if we find our efforts generally fulfilling. The best way to guard against this problem is to wake up each day and remember the questions and problems that we need answered. By taking time to get centred and prepared for the day, we can move forward in our practice even if the day is to be spent mostly at work. 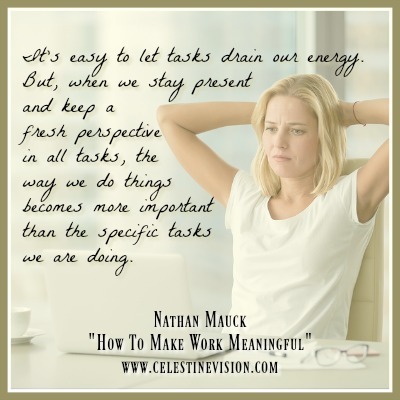 It is easy to let monotonous tasks drain our energy. When we stay present and keep a fresh perspective in all tasks, the way we do things becomes more important than the specific tasks we are doing. The usual advice is to keep work and our spirituality separate. For the benefit of ourselves and co-workers, we must be careful to engage skillfully in conscious conversation. Pushing our own message at inopportune times to an uninterested audience can do more harm than good. That said, most of our waking life is spent working and we need not abandon spirituality during those hours. Using affirmations, prayer, or meditation during short breaks can help us stay in touch with our practice. Another area where we can skillfully bring our spiritual world to work is conflict resolution. By speaking truth and facing conflict head-on we can improve the workplace environment for everyone. Mindfulness means being fully present to what we are experiencing in a given moment. A practice of spending time alone to focus on mindfulness can help us hold this focus throughout the day. Maintaining this intentional attention makes even our workday part of our mindfulness practice. There are many strategies to establish a workplace mindfulness practice. One that works well for me is taking a one-minute break to breathe at my desk every hour. You can set a timer or just notice the top of the hour and focus on your breath. Sometimes at this point I realize I’ve been completely absent-minded for the past hour and that is okay. These breaks help me to come back. Another tactic is to do a quick body scan. Take some time to notice how you are sitting. Feel the sensations in your body. In even just a few moments it is possible to relax and focus. Managing stress and overthinking is easier in small bites like this during the day than waiting for a big release at the end of the day or maybe even the weekend. One of the most challenging parts of maintaining mindfulness at work is interacting with others. Conducting ourselves authentically allows us to have productive and meaningful work relationships. Those we interact with at work are a natural part of our community and that is sometimes easy to overlook. Balancing the demands of work and life remains elusive for many of us. There are natural trade-offs that come from how we choose to spend our time. It isn’t always possible to put the time and energy into all of the areas of life we would like. 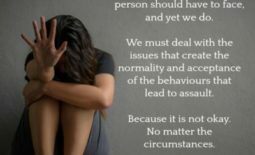 While some struggle is unavoidable, we add to our problems by trying to control situations or the behaviour of others, which drains our power. This includes wishing coworkers, bosses, customers, and others at work would behave differently. It also includes the desire for more understanding and appreciation from family and friends about our work lives. The age of smartphones makes it all too easy for work to spill into our personal lives. We need to make an effort when we are with others to give them our full focus. Digital distractions and replaying the events of the day in our minds make it difficult to interact authentically. A good place to start is to listen carefully. Maybe you’ve reached a point where you’ve determined that work angst is less about how you are going about your day, and more about what you are doing with your day. The urge to find our personal mission or truth to share with others may lead us to a career change. You can help the process of finding your next step by actively looking for synchronicities. Keep your life question in mind and use affirmative prayer to open up opportunities and answers. This process works best if you adopt an attitude of giving. Regardless of your profession, evolution in the workplace is needed. As a result, you have a chance to bring real change to the world through your career. By finding ways to make work meaningful you can advance your spiritual practice and help others. 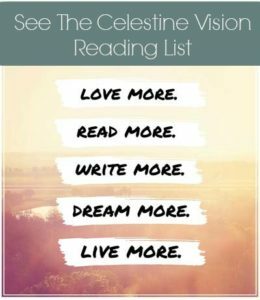 To ensure you never miss a Celestine article, subscribe to our newsletter.